Marc Arthur Zang was fresh out of grad school when he pulled off something of an unlikely feat. The then 24-year-old who had just completed a Masters Degree Program at the National Advanced School of Engineering, Yaounde, created a ripple when he single-handedly put together a working cardiological device. And this was designed from his only form of instructional aid – random information resources he got off the internet. 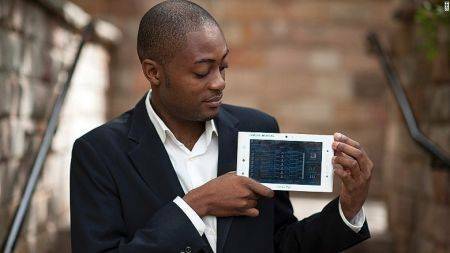 Now 29, the young Cameroonian ‘techpreneur’ is credited with the invention of a device that is considered the very first ‘Made-in-Africa’ medical tablet. And when he first rolled out this invention over six years ago, he got ‘tech birds’ both home and abroad chirping nonstop for months. Zang aptly called his creation ‘Cardiopad’. He specifically tailored the device for the needs of healthcare workers in rural areas who are faced with an enormous challenge when it comes to performing cardiac diagnosis in those places due to the lack of adequate equipment. 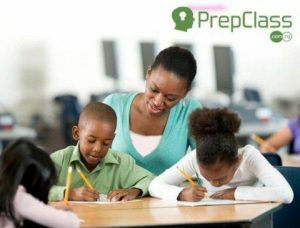 Cardiopad provides healthcare personnel in conventional communities with the means to perform cardiac tests and send results to cardio specialists via mobile devices. For a country like Cameroon occupied by nearly 25 million inhabitants, it makes for gloomy reading that the state can only lay claim to a handful qualified and capable heart surgeons. And the only thing more disturbing than the apparent scarcity of heart specialists in the country is that most of the few available are concentrated in Yaounde and Douala; the country’s two major cities. Also Read:These Four Important Inventions Were Developed By Africans – And You Probably Didn’t Know! This puts people living in the country’s rural communities in a dire situation as they are unable to access prompt response for something as troubling as heart conditions. Due to the severe deficit of specialists in the cardiology field, many locals with various heart ailments are forced to make long trips to avail themselves of heart examinations and consultations. More often than not, the exertions of such arduous journeys are known to even exacerbate the situation by aggravating the ailment. More so, because of the shortage of capable hands, many of these patients have to join a long waiting list to get proper diagnosis and treatment for heart ailments of varying degrees, even when they make appointments months in advance. Disturbingly, a number of those patients never make it to the examination room as they are unfortunately struck down by the ailment before it gets around to their turn. In addition to losing an uncle to a stroke, putting an end to some of these problems can be thought to have spurred Zang on towards bringing his idea to life. Zang’s Cardiopad is a touch-sensitive medical tablet that allows for heart examinations such as electrocardiogram (ECG) to be carried out in remote, rural locations. And if you think that’s all the device does, think again. 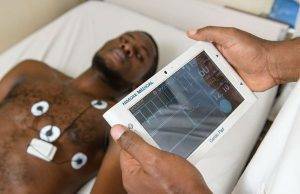 Cardiopad also functions to wirelessly transmit test results to specialists who possess the skills to interpret the variables obtained from the test and recommend treatments. For people living in rural Cameroon, Zang’s creation would come as a breath of fresh air as gone are those days of having to cover several miles to get to urban centers in the name of seeking a medical examination. As culled from Radio Netherlands which created the earliest buzz on Arthur Zang’s Cardiopad, the young Cameroonian inventor described his invention as the “first fully touch-screen medical tablet made in Cameroon and Africa.” He also expressed the belief that his creation could help save numerous lives while hinting at the accuracy of the device holding steady at an impressive 97.5 percent. Zang enthused that Cardiopad was borne out of the need to facilitate the treatment of patients with heart diseases across parts of Cameroon and Africa. 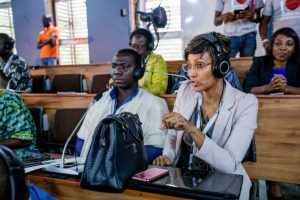 Since becoming public, the device is known to have proven its mettle in carrying out several cardiac tests with satisfactory results as validated by the Cameroonian scientific community. 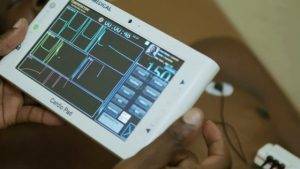 And this has only seen Zang’s invention gain even more acceptance as Cardiopad sees use in a number of rural communities including Mbankono; a small village located some 25 kilometers away from Yaounde, the Cameroonian capital. When he spoke about his creation back in 2014, Zang let his interviewers in on the inspiration behind his invention. From his words in that interview, it could value that Zang was troubled by the dearth of capable hands in the area of cardiology in Cameroon – he even cited figures which suggested that there were less than 50 cardiologists in the country at the time; a poor figure considering the country’s population was somewhere around 20 million. Zang also revealed that he was well aware of the difficulties associated with getting heart examinations for people living outside Yaounde or Douala as the limited number of heart experts were all holed up in both cities. According to him, for this set of people, getting the needed medical attention was an expensive and time-consuming ordeal, and follow-ups were even more difficult. In an effort to help lighten the burden, Zang patented his brainchild – Cardiopad, which comes complete with a full diagnostic kit. With this device, health workers located in rural locations and who are not prototyping skilled specialists in cardiology, are enabled to perform cardiac examinations on patients. After the examinations, the health personnel could also use the device to send the test results to heart specialists in various parts of Cameroon for diagnosis and recommendation. His creation mainly puts paid to the concerns of many patients with heart ailments who would be otherwise inconvenienced by frequent trips to Yaounde or Douala. Complete with a diagnostic kit, Cardiopad is something of a miniature EKG, or perhaps even better than the regular device given that is portable and very accurate. And it works in a rather straightforward fashion. It all begins with attaching a wire set of four electrodes and a sensor to the patient. Then, a signal is transmitted via Bluetooth to the Cardiopad. This signal is essentially a digitized ECG reading of the heart function of the patient. What then follows is the transmission of the information gotten from the procedure to a national data center. It is through that data center that qualified cardiologists working from health centers in urban areas can receive the ECG, make a diagnosis, and revert to the health worker with appropriate recommendations and prescription instructions. Cardiopad is also furnished with a built-in software which allows the doctor to give a computer-assisted diagnosis. Zang’s Cardiopad is an original creation, and it makes it possible for doctors to make an accurate diagnosis of patients without necessarily coming in contact with them. And for the patients, it comes as a plus that they no longer have to worry about traveling long distances to get medical attention. Although each unit of the Cardiopad costs a rather steep USD 1 K to manufacture, it could cost significantly less if some of the electronic components can be sourced locally. Zang currently sources most of the electronic components from China before putting the product together in Cameroon. And this somewhat places a burden on the pricing as electronic components designed for the medical field are known to be quite expensive. 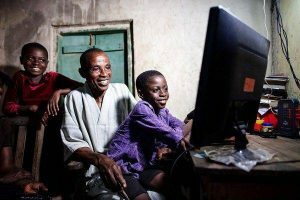 Hence, the device current sales price of USD 4 K.
In any case, the Cameroonian entrepreneur is quite optimistic about the prospect of having the product entirely manufactured locally in the future. Once possible, Zang sees the device being put out on sale for around USD 3 K by his company, Himore Medical. And if that figure still made you wince, squirm, or shudder, perhaps it might help to note that similar, yet less portable systems, currently cost nearly triple that amount. Compared to all other devices that perform the same function, Cardiopad can be thought of as a very portable and low-cost alternative. In 2009, Zang had just completed his postgraduate course and was keen on applying his knowledge of engineering to the development of solutions in the medical sphere. 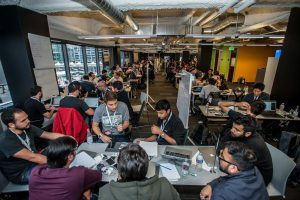 In his quest to identify which areas a computer engineering application could do a solid to the field of medicine, he began to pick the brains of medical experts both formally and informally. It was on one of such discussions with a cardiologist who pointed out the challenges that hamper people living in rural areas from getting required cardiac examinations that Zang got his interest piqued. From that moment, he set out to work on a solution. The young engineer sought out possible solutions to the problems until he stumbled upon what seems to have checked all the boxes. He opted to put together a portable medical solution. But being only a computer scientist with very little by way of medical electronics know-how, he always had his work cut out for him with regards to brushing up on his knowledge. How he went about that, though, was unconventional and somewhat audacious. As there weren’t many engineering schools where one can learn medical electronics and biomedical engineering in his home country, Zang made the internet his tutor. Essentially, he designed the Cardiopad by teaching himself medical electronics with online resources. For up to six months, he watched clips and consumed texts on the subject that he had gotten off the internet. Soon, he was beginning to get the hang of it despite how daunting a challenge it seemed initially. Now armed with the required knowledge, Zang came up with a good design for the Cardiopad. His faith in the internet as a useful learning tool appeared to have paid off. And then came the next hurdle: finding funding for the prototype. 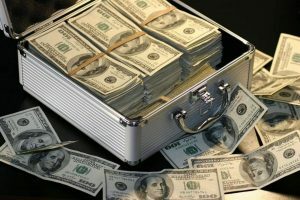 This proved quite the stumbling block as banks are not known to jump at the idea of giving out cash on loan to a student without guarantees. So he turned to family and friends. 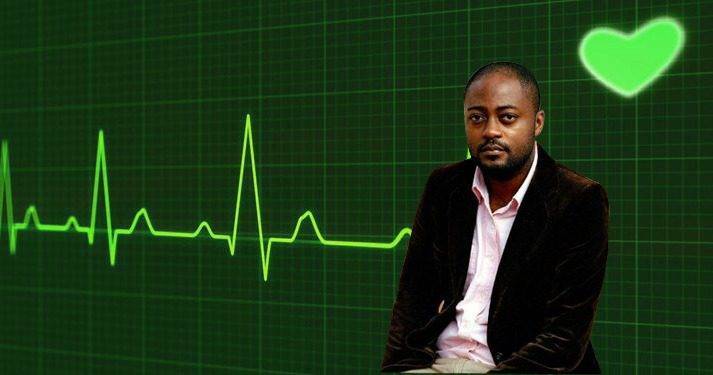 The mother of the Cameroonian inventor was able to procure a loan worth USD 1.3 K from a bank, and it was with these funds that Zang financed the prototype of the Cardiopad. After building the initial prototype, he took to social media platforms like Facebook to promote his invention, and this helped him raise further funding. 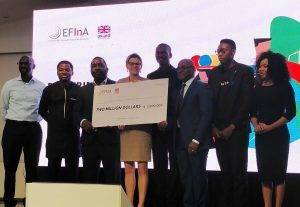 Cameroonian President, Paul Biya, offered the young techie a grant worth USD 30 K to fund the project and with the new injection of capital, Zang manufactured the first 20 devices. 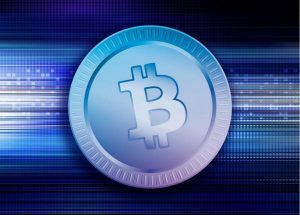 After that, he made another video demonstration of the product and submitted it as an entry for an international innovation competition known as the Rolex Awards For Enterprise. And his stock has only risen since then. Rolex named Zang amongst four others selected from various parts of the globe as its Young Laureates for 2014. In 2015, he was the recipient of an award in the Applied Technology category. 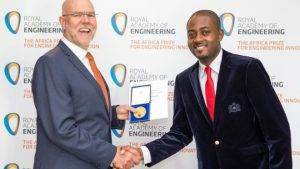 In the year that followed, Zang won a USD 37 K cash prize for his invention having clinched the Africa Prize for Engineering Innovation organized by the UK’s Royal Academy of Engineering at a ceremony in the Tanzanian city of Dar es Salaam. Additionally, with his new-found fame and acclaim, Zang has also been able to garner up to USD 55 K in funding for the production of 100 medical tablets, with each of Cameroon’s 10 provinces expected to be served by 10 of his devices. 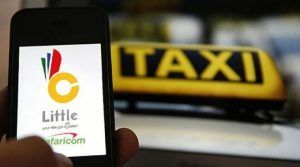 The device is also known to have gone on sale in some other countries including Gabon, India, and Nepal. Going forward, Zang’s Himore Medical has its sights trained on manufacturing a number of other medical devices, including a piece of ultrasound equipment that will be designed for medical examinations in economically-disadvantaged locales. 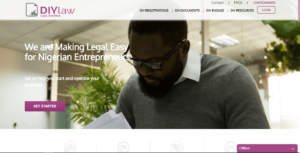 Arthur Zang’s journey thus far can serve as a lesson to Africa’s teeming entrepreneurial population to make good use of whatever is available to them in trying to come up with solutions to some of the continent’s problems. It also stresses the need to break from the conventional both in approach and thinking.